This Longacre Analogue Durometer is used to determine the hardness of racing tyres. 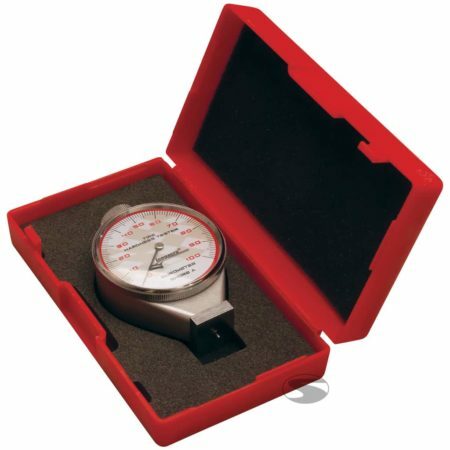 The measuring range of this Longacre Durometer is 0-100 points on the Shore hardness scale. Comes supplied in a red plastic case.